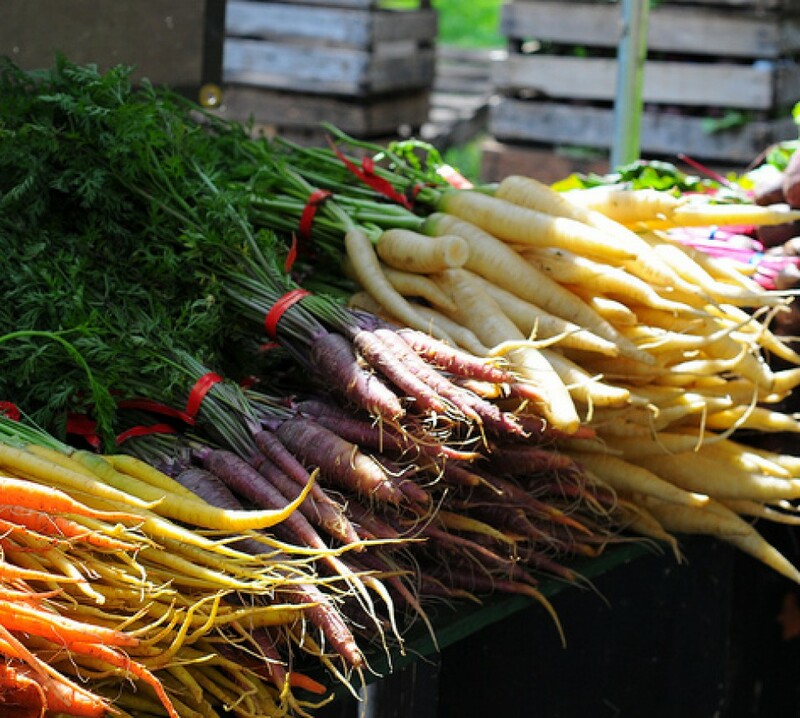 Regular readers of this site know that we try to source ingredients from as close to home as possible, but when that isn’t possible, we try to find the best non-local source for what we need. Often, that means we order by mail from producers who may not be nearby, but who are raising or producing their product in a sustainable way. So when a representative from La Cense Beef contacted me, I was intrigued. I had heard about the company and knew that they were raising their beef on grass, but that was about it. So I did a little digging – I wanted to make sure that before I agreed to sample and promote their product here, that they were the real deal, and not some company trying to cash in on the “trendiness” of grass-fed. I saw that friends and fellow food bloggers had sampled and written about La Cense, and one of those posts led me to this video clip. The footage took my breath away, and pretty much convinced me to give their beef a try. Arrangements were made, my shipment arrived late last week and we had our first taste last night. We decided to start with the petite sirloins. We had received two, and at just under 5 oz. each, we could each have a steak to ourselves. We thawed them and Mike salted them Monday morning, leaving them uncovered in the fridge until we were ready to cook them Tuesday evening. When we can’t cook meat over a hardwood fire, our preferred method is to sear them in cast iron. Because of our hard-wired and very touchy smoke detector, this often requires opening up all of the doors and windows in the kitchen, but the results are worth it. As others have done when sampling their La Cense beef, I decided to keep the preparation simple so that the flavor of the meat could really shine – the steaks were seasoned with nothing but salt, and seared in a bit of oil, about 3 minutes per side. We ground a little pepper over them before setting them aside to rest. I kept the sides simple, too – roasted potatoes tossed with Herbes de Provence and a little grated parm, and sautéed kale with lemon vinaigrette. The steaks were very good – lean but still juicy, with that unmistakable grass-fed flavor. We usually go for richer cuts like ribeye when we have steak, and Mike mentioned at one point that he was missing the fat a little, but that didn’t stop him from polishing off his entire sirloin and a few bites of mine. I do think that since this is such a lean steak, it would benefit from a little added fat in the form of a compound butter or rich pan sauce – for our tastes, anyway. But that’s something to keep in mind for next time. How much salt do you put? We have a freezer full of ribeyes so I haven’t had the opportunity to try the salting method for leaner steaks. Looks pretty tasty! I’m horrible about overcooking my steaks… yours looks perfect! First time / long time :-). Anyway my wife and I were in Montana in early October. Bought a few items from the small store front they have at their central offices (and went and looked at some of their pasture land) and spoke with the staff at length. I am usually leery of frozen meats, but these are great. Try the Rib Eyes – much leaner then I am used to, but outstanding. I love your blog, and the principles that you base your cooking. I also shop at the farmers market, and buy only organic meat (local, whenever available at WF). This is an expensive way to eat, but it’s a choice I’m fortunate enough to be able to make. I heard about La Cense beef a couple of months ago, and was eager to try it – until I saw their prices. Did you know that the little 5 oz steaks featured here are $22 – each?? That’s about $70 PER POUND. I am used to paying $30/pound for local, grass fed filet at WF, which is still a price that warrants a special occasion. In this economy, isn’t this almost reckless? If they are giving this stuff away to you to promote, it might be more responsible of you to at least address the cost in your post. Your readers trust you and like me, look to you for advice about good food. Is it really worth it? Would YOU pay $44 plus shipping for the steaks you featured in this post? Katie – $22? When I go to the La Cense site and pull up the petite sirloins, they ring up at $6.88 per steak… which I think is certainly a reasonable amount to pay for this product. Where are you getting the $22 figure? Katie: The filet mignon is $21.88 for 5 ounces. Jen made it very clear that what we ate was the petit sirloin. 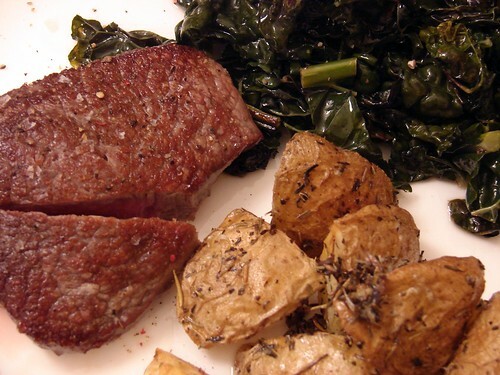 Filet mignon will always be strictly a luxury item for us, as you say to be served at special occasions. Jen doesn’t want to buck strong criticism, but please at least be certain of your facts before you accuse her of recklessness and irresponsibility. Frankly, I believe your comment to be unfair and clearly inaccurate. It takes experimentation to get the right amount for your palate. 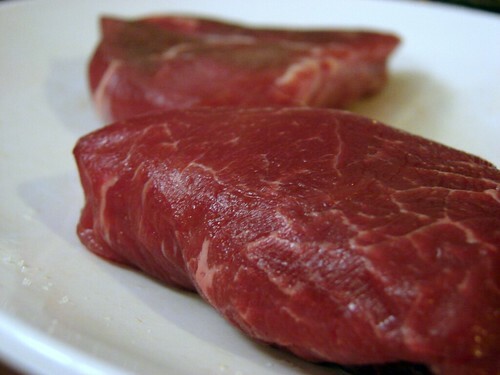 I salt in the morning so that the surface of the meat has time to dry out a bit in the fridge before I cook the steaks. 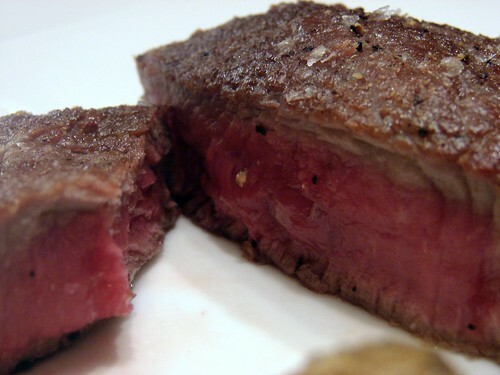 When the surface is wet or even moist, you don’t get the crisp exterior that you’d get in a good steakhouse. Moist meat steams in the pan (or on the grill); it doesn’t sear. This looks awesome. I will keep it in mind once I purchase a chest freezer. Katie: I also find your comment to be unfair to Jen. She does this on her own time for the love of her readers, not to tell you to run out and purchase something you can’t afford. We are adults and we can make our own decisions regarding what we find expensive. Just because I can’t afford a brand new car I’m not going to call the car companies and tell them to stop making commercials for tv. Dietsch: Have you tried the method of salting where you completely cover the steaks in salt and let them sit for 30 minutes before rinsing the salt off? I’m curious to try your method next time. Hi Jennifer, I’m always browsing online for articles related to grass fed beef, so I was pleasantly surprised to find your blog about the very company I work for! 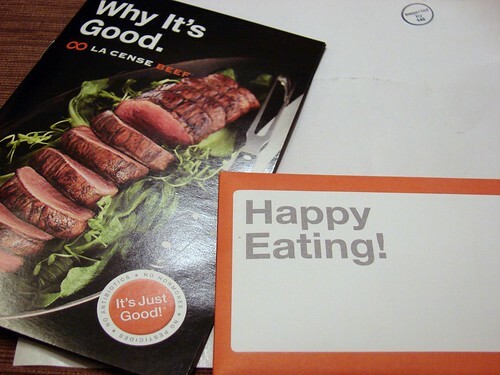 As someone who works for La Cense, it makes me happy to see people who really enjoy our beef. I’m so glad you liked it! To address Katie’s concerns, our beef does cost a little more. But with that, you get the peace of mind knowing all the beef came from a single source, our 88,000 acre ranch here in Dillon, Montana. Those cattle are also treated humanely, and provided fresh pasture to graze on every day. We don’t give our cattle hormones, pesticides, or antibiotics, because we want to keep them in the most natural setting possible. The result has been a tasty and healthy product. We do have some reasonably priced items, with the rump roast costing around $5.63/lb, and our ground beef at $6.99/lb. I’m not here to say everyone needs to buy La Cense Beef, but if people want all-natural ranches like ours to continue to survive, then they need to show support to the ranchers that are doing it right. I really think you would recommend f u r t h e r testing, would you not? That’s so interesting. Here in Ireland all cattle are raised on grass. I believe it’s the same in New Zealand and much of France. Glad you’ve enjoyed it, such a treat! Nicole – thanks for stopping by! We have really enjoyed the beef so far, and are looking forward to ribeye tonight! Okay, so salt and don’t rinse? I can manage that no prob, thanks! We tend to be lazy when it comes to defrosting and often opt to defrost in a sinkful of cold water to conserve fridge space. I always let everything come to room temp, but that’s not near enough time for the surface to dry. Yeah, again it’s trial and error. I’ve had steaks where I’ve oversalted them and it’s obvious on the plate that they’re too salty. I don’t know how to explain this except that you’ll eventually get a feel for it. Let’s put it this way. Err on the side of caution the first couple of times and salt a little less than you think you should. If your steak isn’t seasoned enough when you’re ready to serve, you can always use a finishing salt to enhance the final flavor. We nearly always slice our steaks before serving because we normally serve one large steak for two rather than two large (or small) steaks for two. If you do the same, you can sample while you slice, and if the salt isn’t quite there, finish with some kosher or sea salt. As for defrosting, I do exactly the same thing you do, I just do it a day or two before the meal so I can salt the steak. An easy way to do this is, defrost a day before, salt both sides the morning of, and pull the steak out an hour before you’re ready to cook it, so it reaches room temp. I sometimes do a longer salting than this but I can’t prove that it makes a difference. I don’t know how I managed to not address your actual question, Angela. I don’t rinse my steaks after they’re salted. The salt will generally dissolve away and you won’t see anything, so if you see grains of salt after the steaks “age” for a day or so, brush them off. If you rinse, the meat is again moist and won’t crisp up in the sear. Well, the reason I asked was because I saw the dry “brine” method of oversalting and then rinsing over on Steamy Kitchen, so I thought that was what you were trying to do at first. We tried this over the weekend, salting ahead of time and we could only manage a few hours before our hunger and curiosity got the best of us. We split one ribeye (boyfriend opts to trim and cut it in half first so that he gets as much surface area out of it and therefore as much crust and then he serves them whole instead of slicing) and he generously peppered it as well. We love our pepper. It was seriously the best steak I’ve ever had in my life. I wouldn’t call it overly salty, but my usual pan sauce seemed inedible in comparison, so we were forced to omit it. But who needs sauce when the steak is so good?